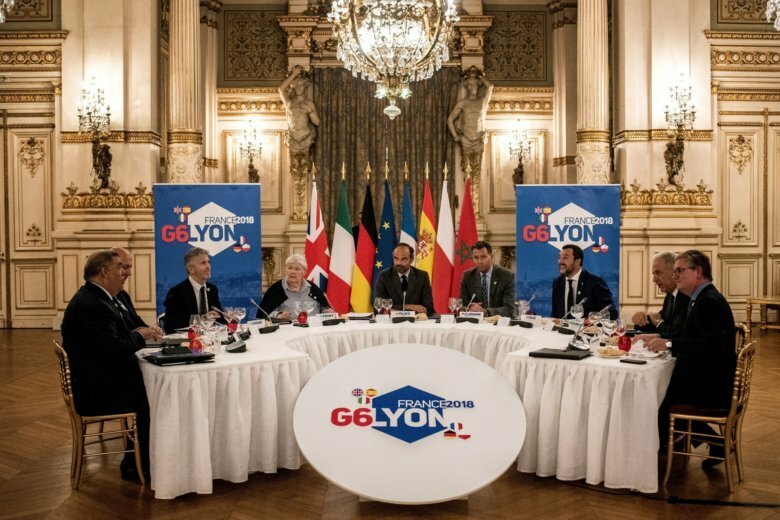 Elite police forces staged the anti-terrorism exercise in the French city of Lyon as part of meetings of interior ministers of six European countries plus Morocco. Sessions didn’t speak publicly at the event. Poland’s interior minister, Joachim Brudzinski, said European countries are coming around to his nation’s view that “migration today, whether it’s legal or illegal, can be a threat to Europe.” He said Italy’s new populist government was among those coming around to Poland’s hard-line position. Italian Interior Minister Matteo Salvini maintained his tough stance on migrants, saying later that his country “won’t be considered a refugee camp anymore.” The populist coalition government Salvini is part of has refused to allow migrant rescue ships that aid groups operate on the Mediterranean Sea to dock in Italy.